I believe that form design is the single largest point of failure in enterprise/customer communication. Flag this content to your friends, connections, and colleagues. Form design is not just drawing minimalist or pretty boxes! I'm a form evangelist and I wish to rid our lives of crap form experiences. That means you have to employ the right designer to craft your forms. Forms only benefit our enterprise and our users if we apply cognitive and learning design, information architecture principles, sound engineering methodologies, and more. You may have put your form design in the hands of the wrong designer, or of the wrong team? If so, hire me. If not, then your enterprise is ace, and I'd like to work with you to learn more. We complete forms every day. They have become a routine barrage of challenges. We find poorly compiled questions, unexpected input rules, unnecessary details to complete, no support, and a feeling that we can only respond but not communicate. A simple interview becomes an aggressive cross-examination. Forms need designing: and form design is not only determining what data to capture. Unfortunately, this means few forms are truly designed: its just, "too much effort", or simply beyond the knowledge of the enterprise. Trite designs and complexity easily overwhelm us. Who's error is it, anyway? Over time, we have likely developed a fear of printed forms. For example, you may automatically input your postal code in the address line, and then the next input is Post Code. It’s not an exam!? Why should I read all the questions before answering them? Online, we fare no better: input your correct Irish Eirecode in the Post Code box, and the form insists that you are wrong because the enterprise hasn't written the validation for an Irish post code. There are good forms around. You know which they are. You are guided through completing them and they feedback on your work; input by input, instead of leaving the disappointment until after you click the Submit button. There are so many less than optimal forms around we no longer notice. We just want to get the job done. But that should not excuse poor design! Important Note: we haven't started to explore the presentation! That comes later. Get the form architecture right first! A delightful experience must surpass expectation. We do not expect to scroll through an option list for over 20-seconds to sign in to an account? Sure, we may know to type the first letter of our selection—and if we don't? And what if we know the numeric data ID but not the name stored in a long text string? Wouldn't life be easier if we could just start typing the string or the numeric ID and for close suggestions to appear? It's difficult enough to find one of fifty States, although I'm certain it gets easier with time. But over 20 seconds to scroll to my school district in this day and age? There are so many alternative methods that give our user so much more control and make for a more delightful experience. For example, we can build a table with a search like My Bookshelf list table. And it's not difficult to implement them, either. We can and must do better! 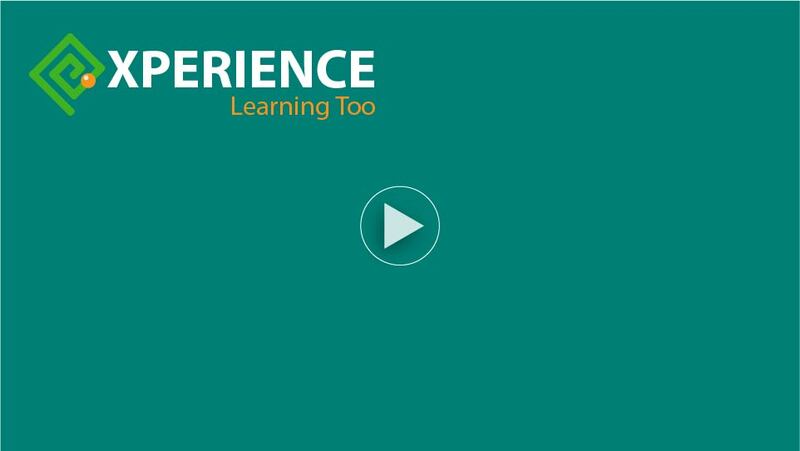 Watch the example HMH Ed sign-in form featured in the video. Perhaps our UI design team are stuck in a design pattern and they don't have the HTML skills to escape it? Your browser does not support this video type (.mp4 only at this time). Please use an alternative browser or download the video to enjoy this content. Try searching for the Yucaipa-calimesa Joint Usd (Joint Unified School District), ZIP 92399. Note: This example does not operate in Safari-type (Webkit) browser and may be lost to mobile browsers that otherwise support it. A 'back-up' select option list will appear and the best experience would be to use conditional CSS to hide the text input in Safari-type browsers. If your browser does not show the interaction, please see the GIF below. This GIF illustrates the use of datalist select option technique. In compliant browsers, the demonstration above illustrates that there are alternative input strategies to explore. The demonstration uses the HMH district IDs as the option <datalist> values. Your list may be designed better. My preference for such a large list of data is to build a searchable table from which to search, sort, and find the desired option with less cognitive and motor effort, and possibly improved usability and accessiblity. As with everything in design, it depends. This simplest of forms invites a poor user experience. Long answers are invited by two wide text input boxes, each capable of holding 50 characters (as presented in my viewport). I needed to type a 'valid' answer, which was easy now I knew the rules. So I ask, "why didn't you tell me, you eejits?" Clearly, there was something wrong with my experience. The pretty-looking and frustrating form with errors. Manage the data or input instead of making all this song and dance over it! Present the "error message" as an on-page instructional text. Highlight it when an error occurs, and give the offending input label the focus, and scroll to it. This is not the worst of forms, but it does highlight the complexities of form design that go beyond making it pretty. It should be First Year student basics. But then, I understand the cause. It is not the designer's fault. It is the enterprise's. They should give the form design task to the right designer: one with the right background. Call me, I may be available! The example above uses unrestricted text input boxes and is not the ideal solution here. It creates opportunity for errors. 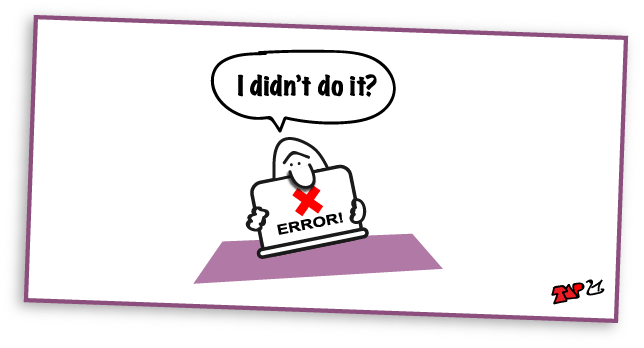 Error management is not how we handle errors, but how we prevent them. The ideal input type for this example is the <select> option list (or an equivalent). It can be given a "Smart Default" that needs no error strategy. 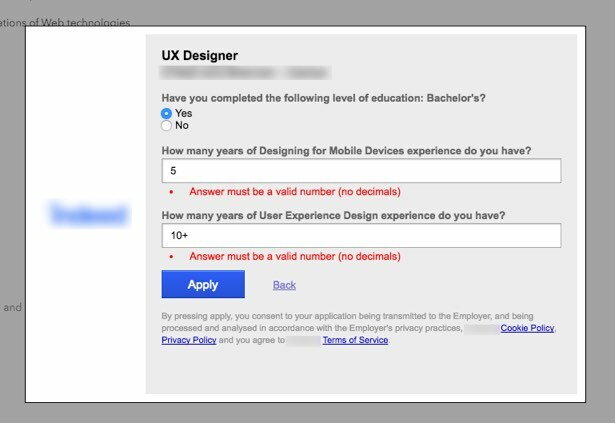 A Select Option List How many years of experience do you have of designing for mobile devices? There is no harm creating a "fill in the blanks" interaction. You may consider it a more conversational approach that would best suit your users? The select option box has a default value of 0, so there is still no user error to worry about. An In-line Select Option List I have No 1 to 5 5 to 10 Over 10 years of experience designing for mobile devices? How Long is Too Long a List? How many alphabetically listed countries must we scroll through to find our own? If living in the UK, are you searching for England, Scotland, Wales, or Northern Ireland, or for Britain, Great Britain, or the United Kingdom? Consider an option list of 196 countries, where your enterprise delivers to only 29 – and 96% of your deliveries are to just five of those. What should you list: and how do you list it? The use of the <datalist> technique can help users select from long lists but, as with everything, it depends. Research the best input type to use. In conformant browsers, the following country selection list should now be easier to complete than the one above. In the others, the interaction clearly needs work. This GIF animation illustrates the UX using the Chrome browser. Radio Button Group How many years experience have you of designing for mobile devices? You get the idea though, yes? With more time we can add a scalar and work on the visuals. In truth, it is easier and more appropriate to offer a simple boolean choice for this example rather than a slider? I have 0 years experience. This range slider only demonstrates that there are all manner of bells, whistles, and other distractions we can throw into our forms and products, but that doesn't mean that we have to. Like everything, it depends. The select option list or alternative Boolean input patterns are ideal in our example - if the number of selections are practicable. If you must use an input box, then we must enhance our user's experience of them by reducing opportunities for errors. We can make clear our validation rules and explain the task we have set as in-line instructions or show/hide 'tooltips'. Caution: tooltip content must be short. Complex instructions or business rules quickly exceed our users' capacity to remember them once the tooltip has been dismissed. The input is styled to restrict its width to suggest how many characters are expected typed, and the number of characters available is restricted to two. This restriction hints at the invalidity of a decimal input. A Configured text Input Box Type the number of years experience you have of designing for mobile devices? (Use a whole number. For example, 2 or 10). Use an HTML5 input type of Number, which may require a tweak to the instructional text. The Number input type presents a native Up/Down select control. Our user selects from a range of negative and positive integers. Without scripting, our user may still type or select more than two integers, which does not need validating in this context. Over 99 years experience seems like a brag to me? You can add attributes to control the input: in this case, max="30" min="0". A Configured number Input Box How many years of experience do you have of designing for mobile devices? (Select or type a whole number. For example, 2 or 10). Note: browser support for the HTML5 Number input type is not assured. It degrades gracefully to a text input box. Test it across your environments before you deploy it. Maybe we could present the input in a more engaging manner and with a default value of zero? 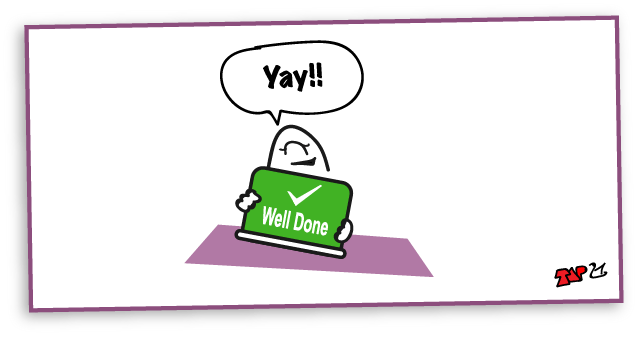 What if our user should type a decimal point? In the examples above, that shouldn't matter. In modern browsers, only two characters are allowed (set by the "max" and "min" attributes) and we can easily script the input to have removed any erroneous characters from the string on clicking the Submit button. In the example form, the error messages are proximal ("in-line") with the inputs, which is good for context, but what is a "valid" number? Valid against what, the Roman occupation? The enterprise controls the form validation, not me. Perhaps we can improve the instruction? The error message in the example form is in red text and is written with poor grammar; "Answer must be..." The message is for our users: not a note to our engineers confirming the input's business rules. At least 10% of our male users and 9% of female visual users won't recognise red as an attractive highlight. Without coding, non-visual users may miss that they have been given focus on an error at all? Accessibility lore directs us, "Not to use colour alone" to communicate anything. Highlighting is required, yes. But not red text? Perhaps we could create something more attractive and maybe add an indicator to confirm which interaction the error or instruction refers to? It's only CSS, after all! This is our error message. Y' fecked up, y' feckin' eejit. I believe red text is similar to using all Caps, it SHOUTS AT YOU: a good telling off. It is NOT MY FAULT that the form design did not make clear what I was to do. It's not my error - it's the enterprise's error! You deal with it: not our user. Then again, up to 19% of the population may not see red as a highlight? That may need more work? Please type your answer. For support, visit Help. Not appear or be too "difficult"
Contain "Smart Defaults" where possible to reduce "errors"
Enable an "escape" strategy such as an, "Are you sure you want to do this?" message. Enable an "escape" strategy such as "on-release" so our user can change their mind about pressing buttons. Note: this list is for your information and is not exclusive or exhaustive. Positive experiences come only with design and programatic knowledge and effort combined with an understanding of your users' needs and goals. As with most UI, it depends. The user experience of your forms depends on the strengths of your designer, the clarity of the task, and the needs and wants of your users. There are a wide variety of inputs available to designers. With still-sketchy browser compatibility, we can also look to building our own searchable tables to help improve cognitive and motor loads as well as to boost usability and accessibility to take our forms from frustrating to delightful.